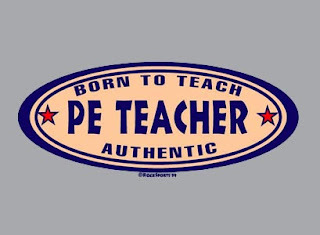 Wear it as a badge of honor all you PE Teachers. Not everyone knows their calling in life and you've been lucky enough to find it. You're authentic, you were born for this, you're a PE Teacher.